With the holidays quickly approaching (I know…too soon, right? ), here a couple of great DIY gifts for paddlers that have been tried and tested by yours truly. 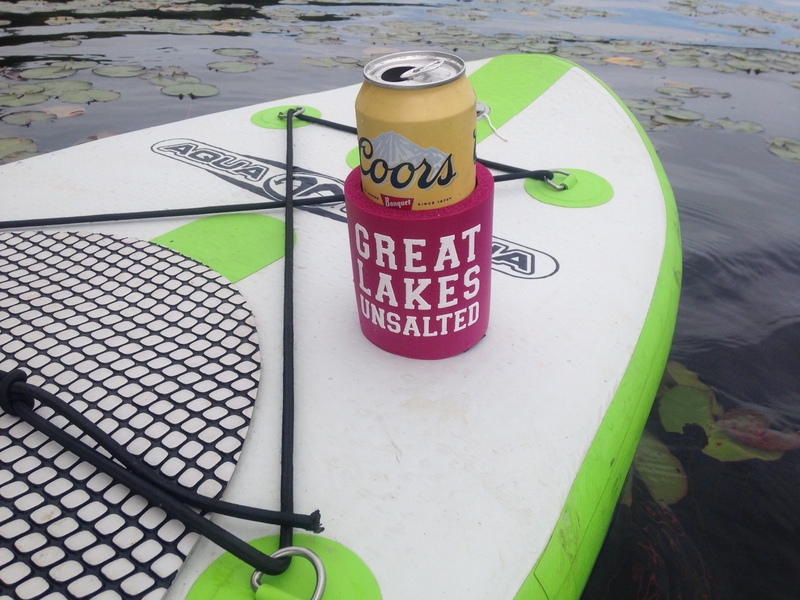 This summer, I was in search of a drink holder for my stand up paddleboard and found a few different options including a pretty cool “suction cup” one from wasupbuddy.com for $28. But, since I have an inflatable SUP, suction cups just won’t stick to it. Turns out, making my own was super simple…with a total cost of less than $5.